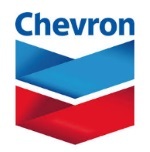 édité le 22/07/2014 - Plus de news de "CHEVRON" - Voir la fiche entreprise de "CHEVRON"
Chevron Corporation subsidiary Chevron U.S.A. Inc. announced that it has begun commercial production of premium base oils from a newly constructed manufacturing facility at the company's Pascagoula refinery. Base oils produced at Pascagoula will add to capacity from the company's refinery in Richmond, California and a joint venture facility in Yeosu, Korea, approximately doubling Chevron's production capacity and positioning it to be the world's largest producer of premium base oil. "Lubricants are a high growth business supporting economic development worldwide," said Mike Wirth, executive vice president, Chevron Downstream & Chemicals. "The addition of the Pascagoula plant to Chevron's base oil network enhances Chevron's reputation as a reliable and flexible base oil supplier globally." Base oils from the new facility will supply customers in the U.S. East, Europe and Latin America, with Richmond continuing to supply the U.S. West, and both Richmond and Yeosu supplying Asia. The facility is designed to manufacture 25,000 barrels per day of premium base oil, helping countries around the world meet increasingly strict regulatory requirements and higher performance standards for lubricants. Premium base oil is the main ingredient in the production of top-tier motor oils that help improve fuel economy, lower tail-pipe emissions and extend the time between oil changes. Base oils are used to make lubricants and greases for machinery and equipment in the commercial and industrial sectors. The base oil facility uses Chevron's proprietary ISODEWAXING® technology invented in 1993. The technology results in higher yields and enables a broader range of crude oil to be used in the manufacturing process. Over half of the world's premium base oil is manufactured with this technology through licensing agreements with Chevron. Chevron Corporation (NYSE: CVX) is one of the world's leading integrated energy companies, with subsidiaries that conduct business worldwide. The company's success is driven by the ingenuity and commitment of its employees and their application of the most innovative technologies in the world. Chevron is involved in virtually every facet of the energy industry. The company explores for, produces and transports crude oil and natural gas; refines, markets and distributes transportation fuels and other energy products; manufactures and sells petrochemical products; generates power and produces geothermal energy; provides energy efficiency solutions; and develops the energy resources of the future, including biofuels. Chevron is based in San Ramon, Calif.
Voir la fiche entreprise de "CHEVRON"
Les dernières news de "CHEVRON"
Toutes les news de "CHEVRON"